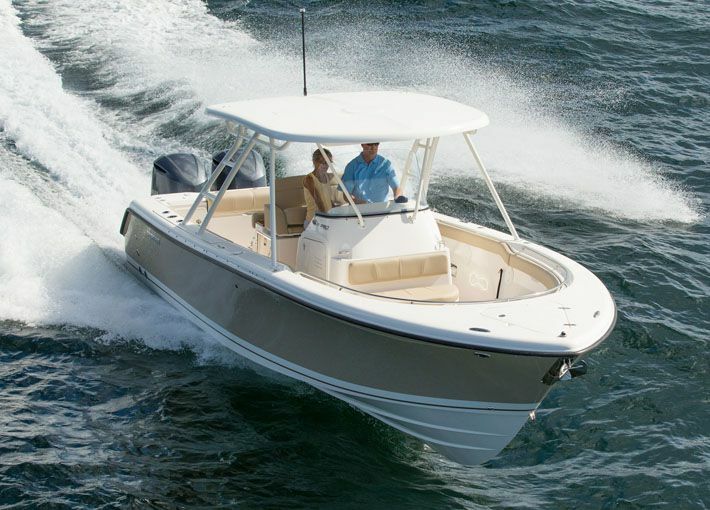 The Sport family of luxury center consoles starts at 28 feet and delivers a refined level of amenities enhancing the fishing experience. The Pursuit S 280 features stunning good looks combined with exceptional handling and performance. Its long list of standard features includes rich teak accents, a fiberglass hardtop with a white powder coated aluminum frame, an overhead electronics box, an overhead storage bag, integral overhead interior lighting and so much more.